Everything to know about this year's awards. 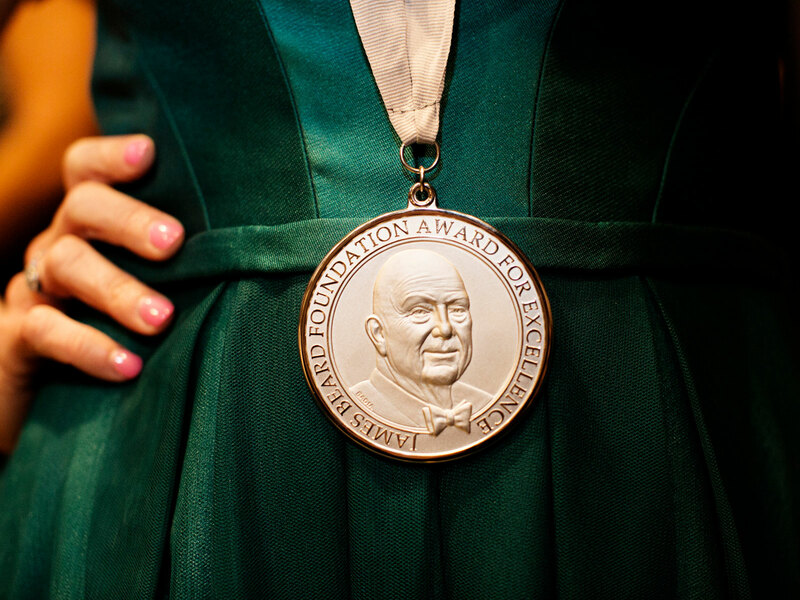 2019 is a landmark year for the James Beard Foundation. For one, it's the year that the organization's sweeping policy change went into effect after announcing measures to make the judging process more transparent and inclusive. Under new CEO Clare Reichenbach, several changes have been made to the judging and nomination process, including temporarily waiving submission fees for the Book, Broadcast Media, and Design Awards, as well as fees for first-time submissions. As the restaurant world anticipates the James Beard Awards Gala on May 6, where the bulk of winners are announced, there have already been some major announcements. In March, the finalists were announced for the Chef and Restaurant categories, as well as Book, Broadcast Media, and Design. Big names that received nods include Samin Nosrat, Marc Vetri, Daniela Soto-Innes, and our very own Justin Chapple— You can see the full list of finalists here. JBF honored San Diego's Lionfish as a "Smart Catch Leader" for increasing sustainability of the seafood supply change. On May 6, winners will be announced at the 2019 James Beard Awards Gala, which will take place at the Lyric Opera of Chicago. This post was last updated on March 4. Return for more updates, winners, and announcements leading up to the James Beard Awards on May 6.